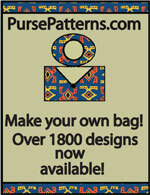 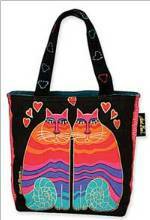 Mini Professional Tote Pattern - Retail $10.00 [TCT111] : Wholesale Purse Patterns, Purse Patterns at wholesale prices for quilting shops, craft stores, and fabric shops. 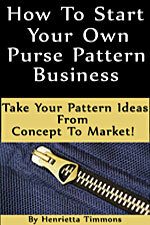 The Mini Professional Tote Pattern is a smaller version of the popular Professional Tote by The Creative Thimble. 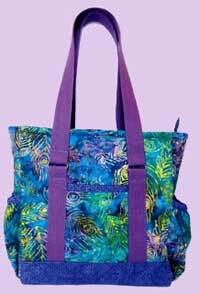 This tote is packed with organizational features such as 10 pockets, including a secure padded free standing zippered pocket in the lining big enough to hold your tablet. 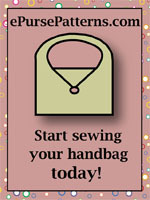 Outside are 2 patch pockets and an additional zippered pocket along with 2 pleated side pockets on each end of the bag.